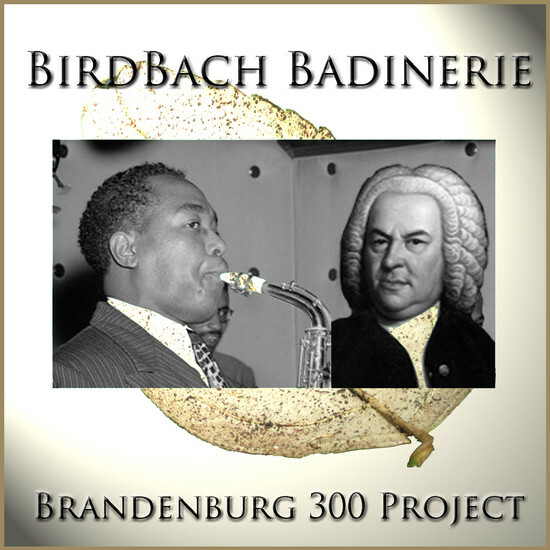 JS Bach's Orchestral Suite #2 (Badinerie) combined with Charlie Parker's solo on "All the Things You Are"
BirdBach Badinerie is composed from excerpts of Charlie Parker's solo on "All the Things You Are" and Bach's Orchestral Suite #2 (Badinerie). After completing the writing and recording of the whole Brandenburg Concerto, I decided to learn a couple of Charlie Parker solos. A friend was over and suggested I learn Bach's Orchestral Suite #2 (Badinerie) and in the course of practicing both it seemed to me there were a couple of sections that would work well together. I tried it and magic happened. When introducing this to Albert Wing - who plays reeds on a number of the Brandenburg pieces - and he had heard that Bach would work out solos over classical pieces, call up his friends, and play the record over the phone accompanies by his variations. Bach had to be one of the composers he worked over, and wouldn't it have been great to get one of those calls? It came out so good and was so emblematic of what we were hoping to achieve in the Brandenburg 300 Project, we decided to include it here.